Despite the fact that governments re-affirmed and strengthened the United Nations’ moratorium on Terminator technology (a.k.a. genetic use restriction technology [GURTs]) in March 2006, public and private sector researchers are developing a new generation of suicide seeds – using chemically induced “switches” to turn a genetically modified (GM) plant’s fertility on or off. 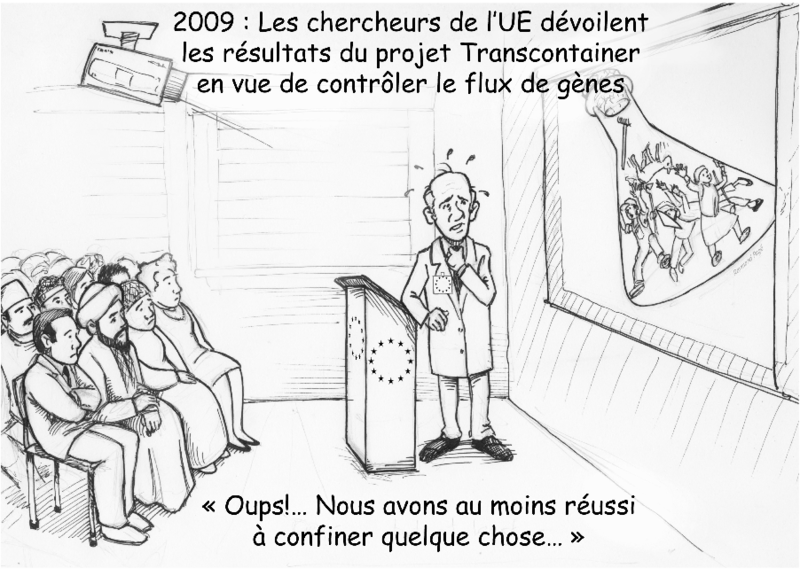 Issue: Under the guise of biosafety, the European Union’s 3-year Transcontainer Project is investing millions of euros in strategies that cannot promise fail-safe containment of transgenes from GM crops, but could nonetheless function as Terminator, posing unacceptable threats to farmers, biodiversity and food sovereignty. Terminator technology – genetic seed sterilization – was initially developed by the multinational seed/agrochemical industry and the US government to maximize seed industry profits by preventing farmers from re-planting harvested seed. Researchers are also developing new techniques to excise transgenes from GM plants at a specific time in the plant’s development, and methods to kill a plant with “conditionally lethal” genes. This new generation of GURTs will shift the burden of trait control to the farmer. Under some scenarios, farmers will be obliged to pay for the privilege of restoring seed fertility every year – a new form of perpetual monopoly for the seed industry. Impact: Whether intended or not, new research on molecular containment of transgenes will ultimately allow the multinational seed industry to tighten its grasp on proprietary germplasm and restrict the rights of farmers. Industry and governments are already working to overturn the existing moratorium on Terminator technology at the UN Convention on Biological Diversity (CBD). In the months leading up to the CBD’s 9th Conference of the Parties (Bonn, Germany 19-30 May 2008), industry will argue that global warming requires urgent introduction of transgenic crops and trees for biofuels – and that Terminator-type technologies offer a precautionary, environmental necessity to prevent transgene flow. Ironically, society is being asked to foot the bill for a new techno-fix to mitigate the genetic contamination caused by the biotech industry’s defective GM seeds. We accept tax-deductible donations in the USA and Canada.